Durban and Umhlanga have had a bit of rain of late. The Michael Bublè &Luisana Lopilato concert last night at Moses Mabhida Stadium was tops despite the downpour (yes, I admit, I was in a box, undercover, eating mutton curry and sipping on a whiskey). 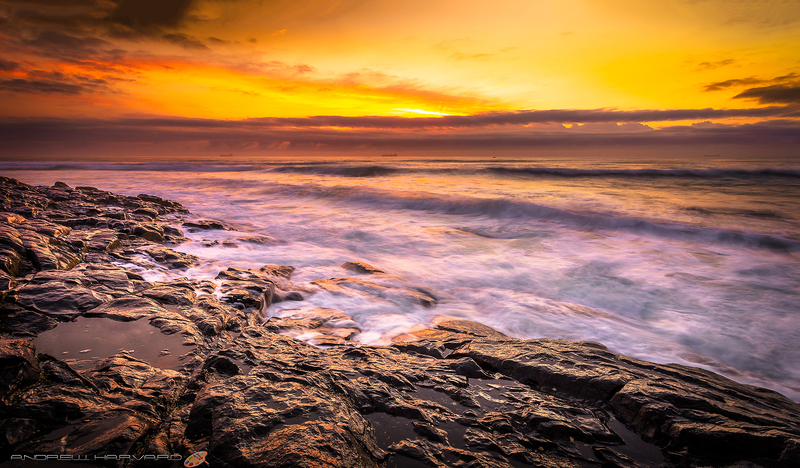 This photo was taken a few weeks back on the beach near Beverly Hills Hotel Umhlanga Rocks at sunrise. Canon South Africa 6D from Orms with 17-40mm L. F11, 1 sec, ISO 100.